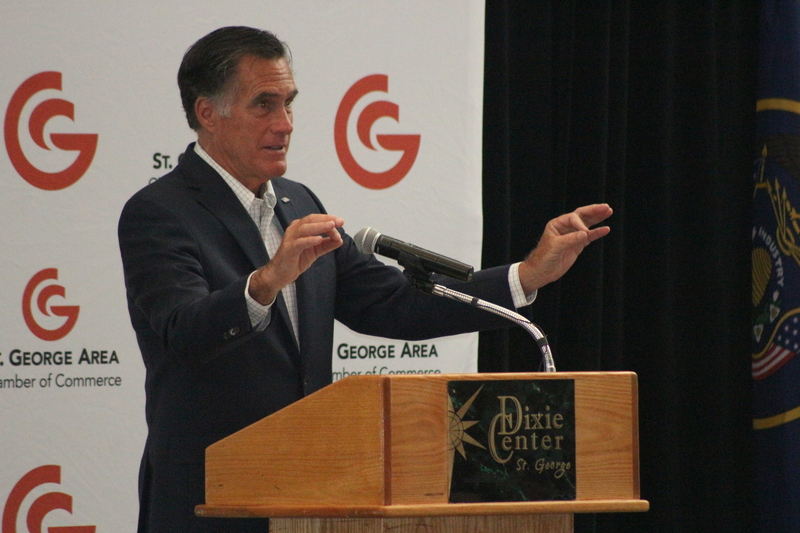 ST. GEORGE — Good character and the ability to speak with civility to one’s opponents are some of the qualities that make a great leader in business or politics, Mitt Romney said in a speech Wednesday in St. George. Romney was a keynote speaker at the breakfast for the 2018 Business Summit. 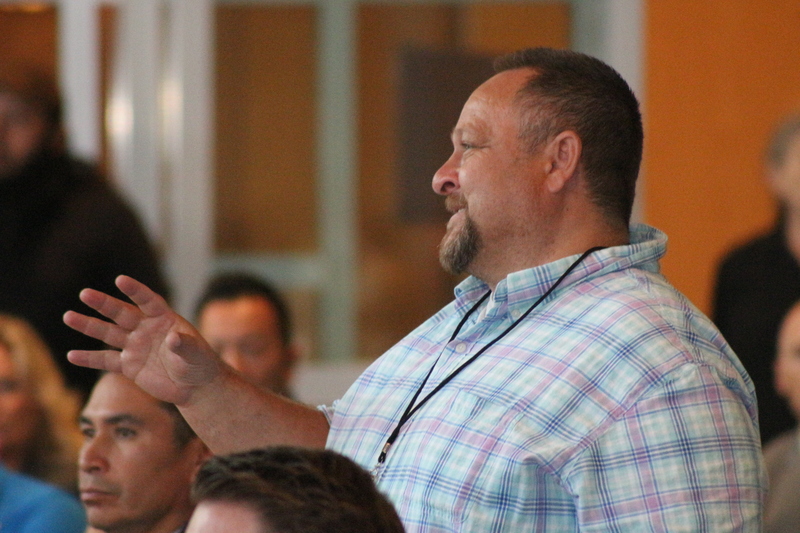 Owners and representatives of businesses from across Southern Utah attended the summit at the Dixie Center, which included a full day of talks and classes on developing business. Being a person of character is the kind of senator Romney said he hopes to become if he’s elected. Romney said the biggest reason he’s running to become senator is to help Utahns, communities, businesses and the economy, but private businesses can often do more to help than the government can. Keeping the federal government out of the hair of private businesses is one way to help the private sector, he said. Some of the ways he said he can help support businesses is keeping taxes and energy rates low. 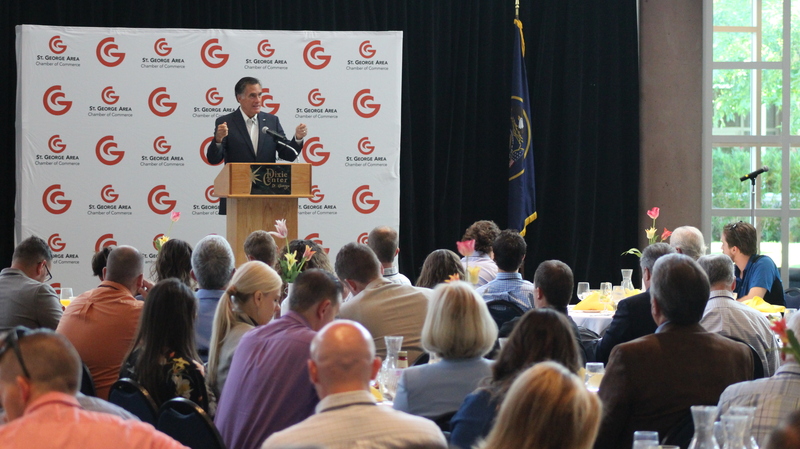 Utah has a booming economy, but one of the biggest economic problems that remains is stopping “the export of our kids,” Romney said. While many counties in Utah are growing, other counties, especially rural counties, see the next generation of potential workers leaving the state. One of Romney’s biggest goals if he’s elected is to tackle the national debt. The best way to start is to look at changing Medicaid, Medicare and Social Security. Romney said he supports drug testing and work requirements for Medicaid, allowing people with lower income to have higher Social Security benefits and raising the age that people receive benefits. Romney also talked about how he learned to work with his political opponents when he served as governor of Massachusetts by never attacking them, which is a quality he hopes to bring to the U.S. Senate. 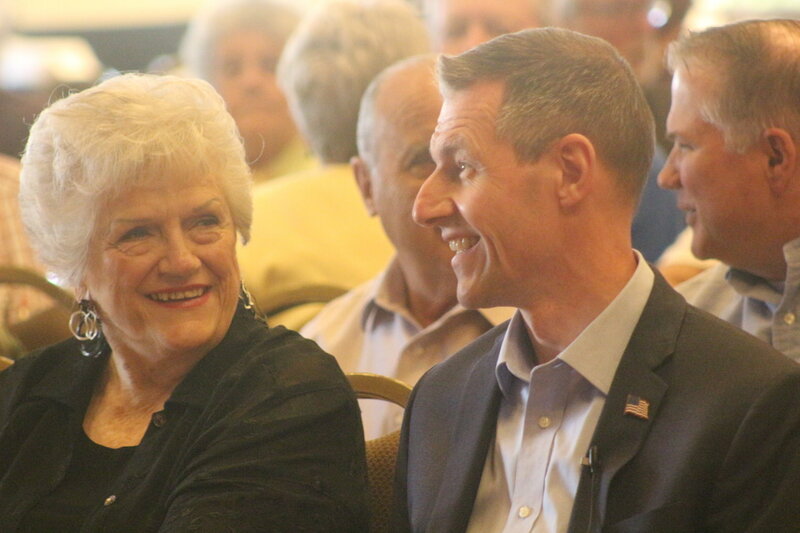 Though Mike Kennedy, the Utah state legislator running against Romney in the Senate race, was not at the business summit, he also spoke to St. George News Wednesday about his vision for supporting business and the economy. One of the biggest hurdles to a strong and healthy private sector is the Affordable Care Act, or Obamacare, Kennedy said. If he’s elected, he’d seek to finally end Obamacare for good. Like Romney, Kennedy also said he’d support low taxes and low energy rates to support businesses, and the problem of young people leaving rural areas of the state is something that is important to him. Romney used examples of successful businesspeople he has known and mentioned his own businesses he managed before he took up politics in 1999. Sometimes, things don’t go the way they were planned, said Romney, who ran two unsuccessful campaigns for president in 2008 and 2012. He talked about his experience investing in a startup in the late 1980s called Presidential Airways, which was the main airline out of Washington Dulles International Airport until Continental and United Airlines started flying out of Washington, D.C. After one year, the company and its investors like Romney lost millions of dollars. 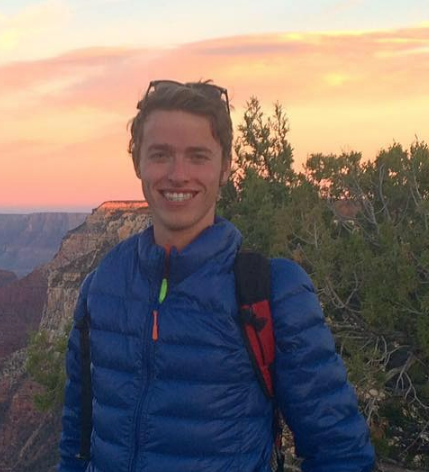 Shayne Durrant, who was attending the summit for Yesco Outdoor Media, said he has previously been on the fence about supporting Romney, but after hearing him speak, Durrant said he thinks Romney would do a good job representing Utah in the Senate. Immediately after Romney finished his speech, he rushed off to catch a plane as attendees at the summit gave him a standing ovation. Gov. Gary Herbert is slated to be the keynote speaker at the summit during the evening. Moved to Utah because of Hatch. He’s using Utah the way Clinton used New York. Neither party has concern for us, only self. If we could get rid of the blind part hate, we might work together and get our government back. But, as long as too many people are dips of either party, they win and laugh at us. We don’t like flip flopping RINO”S here in Utah.. Get Lost Mittens! struck out again, huh? LOSER! The way I see it, there’s just no way Mittens can be as bad as hatch. Does hatch actually do anything that benefits the people of utah? I’m beginning to warm up to Mittens. He might actually do some good. I mean, I believe our dear mittens is slick enough to say all the things that r-wing loons want to hear in order to get their votes, but I just kind of suspect that mittens isn’t that bad of a guy. I believe orrin is evil as all hell, but i just want to believe mittens has some decency, and I hope I’m right, because mittens will take the mormon vote and win the seat. You hard-right-wing loonies may not like him, but he will take the mormon vote and be your new senator. All this whining about carpet bagging and tea-badding and whatever else will have no effect. Let’s just go ahead and congratulate our new senator mittens 😉 . So true but Romney’s already getting overconfident because of that poll, now saying he’s going to be “an independent voice.” Yes, you can better dollar Romney will be “an independent voice” when sense of (liberal) social propriety is offended by Trump, and when issues climate change and especially gun control come to the fore. Yes, Romney will be a liberal maverick as he was in MA … not the “severe conservative” that he once called himself. Vote Kennedy. Romney is a stooge who will make the average citizen pay for the republican $2 trillion deficit. Romney is a waffle. One moment he’s against something, but when that becomes a popular cause, he changes his stance. Kennedy is an example of that. I’m looking at voting for Jenny Wilson. Im hoping whoever wins has a heart and isnt the brain dead Trump cult type who believe its best to separate children from their parents at the border. Its Nazi. Laying eggs again, hahahahahahaha! They have treatment for that Trump Derangement Syndrome! As TDS progresses, the afflicted lose the ability to distinguish fantasy from reality. Just like you! Not to worry jb, you won’t be voting on this party’s nominees anyway. They can both go back home – wherever that is – no one forced them to bring their kid and try to illegally enter this country.